Our U.S. culture is consistently assessed as one of the most individualistic and masculine cultures in the world1. This means that our tendency is to give too much credit to the leader when things go well, and to place too much blame on the leader when results are not achieved. However, in my work with leaders and their organizations, I continue to be amazed at the frequency with which organizations fail to create an environment that enables these talented leaders to succeed. Most organizations do not proactively think through their current decision making, governance, portfolio, human resources, structures, and other aspects of their culture prior to investing in hiring seasoned and expensive talent. Instead, they determine that a proven leader with experience and expertise will quickly diagnose issues, develop alternatives, secure approval, marshal the necessary resources, and achieve goals. This fallacy of leadership is expensive, disruptive, and de-motivating. The chart below describes a holistic view of culture change. Please note that leadership behavior is only one of the key levers that can be used to achieve an organization’s vision. Turnover costs are estimated at 25% of executive salary, plus benefits. The cost of replacing a failed C-suite executive can easily be $1 million to $3 million2. New incumbents typically leave organizations where they have formed important relationships, gained lucrative salaries/benefits, and become comfortable with familiar cultures, to start a new position in a new organization with high levels of exuberance and energy. They step into new surroundings that are unfamiliar to them and are rife with organizational and political landmines. Consequently, it is critical for hiring managers and organizations to think proactively and reconfigure outdated and dysfunctional cultures, lest the new hire lose her motivation and reach levels of frustration that will result in low productivity and in higher doses separation. A number of new employees were hired from bio-tech organizations, academia, and other large pharmaceuticals in order to accelerate this change (throwing talent at the problem). These leaders report significant frustration and dismay at what they perceive as a broken promise. They have experienced organizations bloated with complex and slow processes, and leadership teams that publically espouse the new vision but are resistant to meaningful change. For example, when new scientists have more creative and “out of the box” new product ideas, they are told to continue to follow the traditional portfolio allocation and new product development processes with stage gates that are based on more conservative and traditional hurdles. They find that they are not able to voice their own ideas in front of senior mangement. Travel and outreach to the external scientific community is restricted through cost-control measures that have to be cleared at the highest levels in the organization. In one case, a renowned scientist experienced a significant delay in getting approval for a trip to Europe where she was asked to present to a senior scientific audience. Significantly, these leaders were promised that they could hire and bring new and more innovative talent into the organization. In reality, they discovered that separating low-performing existing talent required a lengthy and bureaucratic human resources review and approval process. In addition, the cost-control measures prohibited them from adding new headcount. Not so surprisingly, a number of these leaders are frustrated, feel underappreciated, lied to, and unproductive. As a result, the organization is in danger of losing these leaders. The hoopla behind the “bio-tech” culture has taken a back seat to quarterly targets, Wall Street analyst projections, and defensive legal maneuvering to prolong the life of expiring patents. Organizations should think clearly and proactively prior to hiring senior talent. They should conduct an honest “change readiness” exercise that paints a detailed picture of the future and assesses the readiness of the senior management to change its beliefs and behaviors. Management must go on record and commit to these changes prior to making the hiring decision. One clear indicator, and one that I encourage my clients to pursue, is the wording of the announcement letter introducing a new hire. The announcement letter should not only communicate the background and qualifications of the new hire and the level of excitement of the receiving organization, but equally the specific changes that will be put in place and the level of authority that the new hire will enjoy. For example, a more streamlined reporting and decision making process or the ability to hire up to X number of new people and to restructure the organization as he/she sees fit. Furthermore, organizations should invest in a thoughtful on-boarding program and transitional coaching in order for the new hire to be able to adjust to the new surrounding in a way that is natural, and help avoid early mistakes that could establish longer-term negative perceptions. In short, the challenge for leaders as they acquire and on-board new talent is to ensure they are not leading in a vacuum, but preparing their grounds for new talent. The ability to understand an organization’s culture, articulate it to prospective leaders, and actually live it on a daily basis is the cornerstone to creating an environment that enables leaders to succeed. 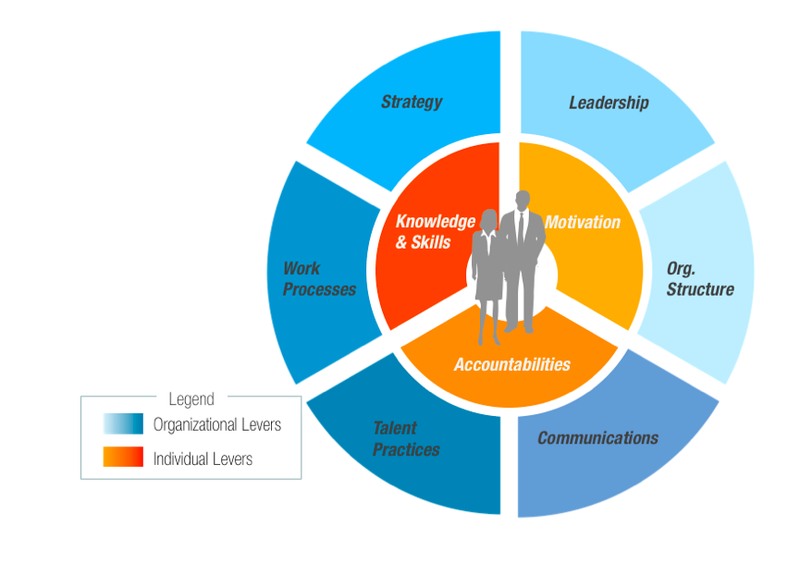 How should organizations prepare the grounds for new talent? What are the biggest obstacles and blockers? 1. The Hofstede Centre. http://geert-hofstede.com/united-states.html. Accessed February 3, 2014. 2. Byrnes, Nanette and Kileyy, David. “CEOs: Hello, Your Must Be Going.” BusinessWeek. 11 Feb. 2007.
this website contains awesome and actually excellent material designed for readers. Still, the posts are too quick for newbies. May you please lengthen them a bit from subsequent time? i am browsing this site dailly and take good data from here every day. and article is actually fruitful designed for me, keep up posting such articles or reviews.